Police sappers neutralize incendiary balloons found in children's playground in southern Israel. 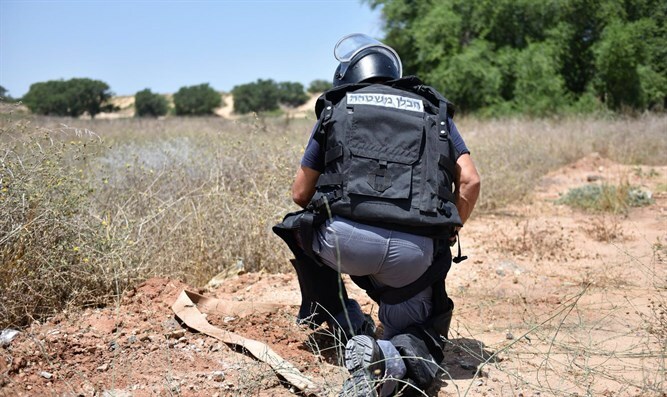 Police units on Friday responded to a number of suspicious balloons that were found in the city of Kiryat Gat in southern Israel. The balloons, believed to be incendiary and sent into Israeli territory by Gazan terrorists, landed in a playground. Expert police sappers arrived at the scene and safely neutralized the threat, preventing further danger to the public. "Police are continuing to take security measures in the south, and we will respond to any further incidents," a spokesperson said.